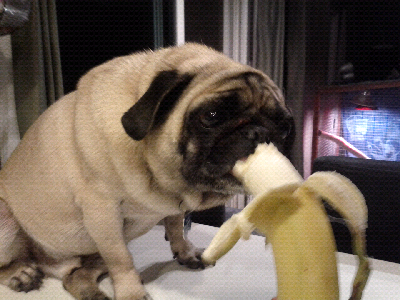 For your viewing pleasure ... a pug eating a banana. Say No to Internet Censorship! !